David Chiarelli - Latest Edition! : [Alt Draft] Beatlemania Canada: The Lost Albums! Howdy Folks: This is an early draft that was posted by mistake. I will leave up for now because I notice it's being read. The final draft was my Beatlemania Canada: Lost Albums + Bragging Rights blog. I liked this version but felt it was getting bogged down.There is more of a sharper focus on the Capitol-ism problem! The story of the lost Canadian Beatle albums is a classic case of peripheral dependence in international relations. And you just thought they were just Beatle records? Ha! Nope my friends! Not by a long shot! Our story begins back in 1963 the British EMI label sending over a batch of its new releases to Capitol Records Canada. Being a former British colony, where the majority of Canadians were either English or French, Canada still had many British cultural and commercial ties, not particular to our American neighbour to the south. 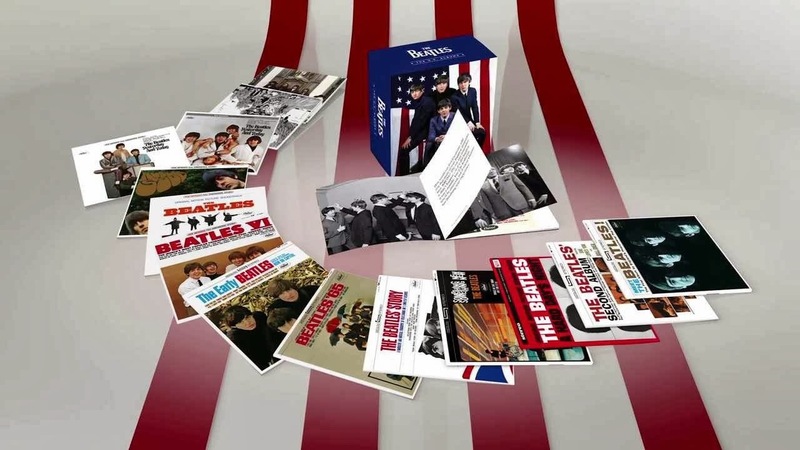 EMI had the sole distribution rights to the Beatles recordings in the UK but would give the Capitol Companies first dibs on licensing and distribution of any recordings it wanted to release here in Canada. Capitol Records in the USA had the same relation. Only problem, as we shall see, was that Capitol US was the parent company of Capitol Canada. It decided to pass on the first Beatles albums and singles. Why not? There had been very few British hit makers who'd managed to score big in the Americas. Lets face it; as far as they were concerned the Brits looked funny, sounded funny, why take a gamble on that? If the Canucks wanted to go for it, well they were quite content to leave that up to them. Any talk of colonies and parent companies will of course, smack of a peripheral dependency model. In fact, it's a dead give away to my story. There's the big guys usually calling the shots. Then there's the little guys hanging on to their coattails quite dependent on them for the final word on what to do and how to do it, along with whatever scraps might come their way. 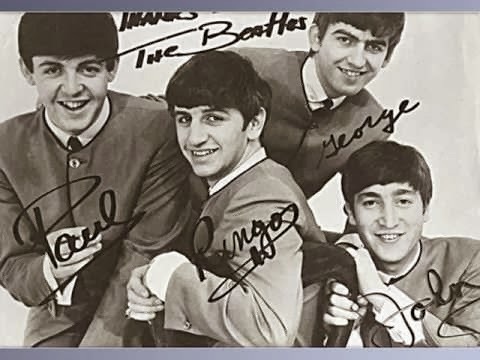 Welcome to Canada in 1963 when a copy of the Beatles first 45 rpm single ended up on the Capitol Canada desks. It had just made it into the Top Twenty in the UK. Not exactly a best seller -yet. Capitol Canada decided to release it anyway. The band was starting to create a buzz over across the pond. Maybe they were onto something? Capitol US on the other hand figured they were a long shot at best and didn't. At first capitol US probably felt quite sure they'd made the right decision, when Love Me Do sold a measly total of 68 copies across Canada. It was not a winning business proposition, and the parent company was willing to graciously let the Canucks continue to do as they please! 50 Years of Beatlemania: 1964-2014! So it went for the next three 45's as well. Please Please Me and From Me to You where #2 nd #1 hits respectively in England. Interestingly, the teens, who bought most of the cheaper single 45 rpm records back then [a 45a + 45b, about 2-4 minutes long each side for about 68 cents], as opposed to the more expensive LPs [Long Playing records or albums, [2 sides about 30-35 minutes in length total] were going crazy, some even began to say maniacal over the Beatles. Both 45's came out in Canada, to middling sales, somewhat better, but still nothing to make Capitol US think any differently. In the US, VeeJay Records, a once proud R+B and gospel music label picked up he rights to the first Beatles album, and of course, the fore mentioned singles. Passing on Love Me Do they released Please Please Me and From Me To You to the US market where they flopped big time. So bad in fact that Veejay decided to shelve, or not release the album, figuring they'd bought a losing proposition. Not good! especially for the manager who was barely keeping the record label afloat while he tried to deal, rather unsuccessfully, with his bad gambling and drinking problems. Why throw good money after over bad? So bad in fact, that when She Loves You, the first Beatles #1 mega hit in the UK came across their desk they let an even smaller label, Swan Records pick it up instead. Oh yes, and this is interesting, the German language version too. Meanwhile back in Canada, Capitol decided to take one more chance on the Beatles. She Loves You was released as a 45 in September 1963. By November it had hit #1 on Chum AM Radio, in Toronto, definitely one of if not the biggest Canadian market at the time. When it stayed in the top 1 position for the rest of the year, Capitol Canada decided to grab the licensing agreements for the first two Beatles alums that were out by then too. Please Please Me, and With the Beatles. Capitol Canada slapped a bunch of promo's on the cover, called it "Beatlemania with the Beatles". Bought up rights to Please Please Me, rearranged songs, added singles, knocked off a few tracks to fit, and had Twist and Shout out with a lousy cut and paste cover. Meanwhile VeeJay and Swan Records sat on a pile of dusty licensing rights to the material that Capitol US had passed on, selling lots of Beatle records too. 50th Anniversary of Beatlemania: Yeah! Yeah! Yeah! [Part 2: Stay tuned. How the Canadian Beatle albums and 45s got delegated to the dustbin of the peripheral dependent musical history.] ?